Most dogs know which side of the door opens and never bother the side with the hinges. For these dogs, the standard size of 32” x 16” is designed to cover about half the door, below the knob. If you need a larger shield, please go to the Double-wide Door Shield page. You can trim this shield yourself with a sharp scissors but I do offer some custom products including making strips to cover the molding around the door and drilling holes for knobs or locks, so the shield can be mounted higher. It’s keeping my 3 cats from tearing up my door. Shield totally worked to protect our door. 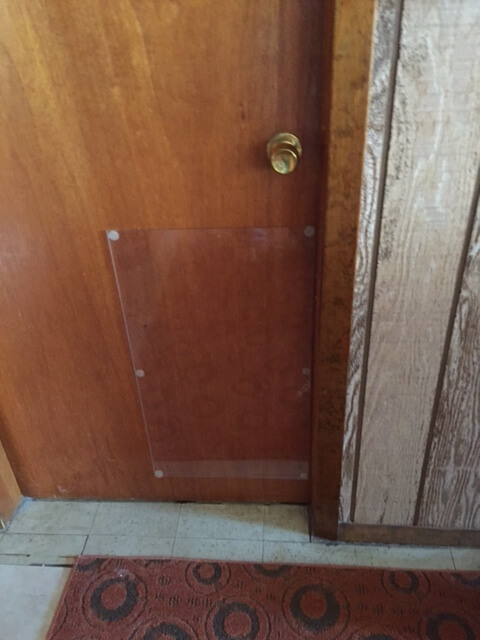 Our door has a grid with glass panels, so I was unsure how this would install and stay in place. It has worked great, with no issues. So pleased our door is protected now. 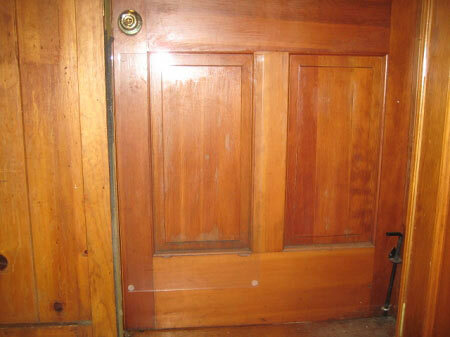 We recently finished a lot of renovation including painting our doors which have plenty of scratches from the dogs. After a couple weeks there is nothing even though the dogs have "knocked" a few times. Install was very simple and convenient. When entertaining or cleaning, you can just pull these right off and hide or clean them. Great product, thanks for making it easy to protect our investment! I was searching for a door guard that came flat and came across this one. So glad I ordered. Came early and I was able to have it on the door right away. It is really nice not to be touching up paint or cleaning the door constantly. Thanks so much for a great product.